In celebration of the 20th anniversary of Harry Potter, the British Library exhibition "Harry Potter: A History of Magic Exhibition" is coming to the New-York Historical Society. 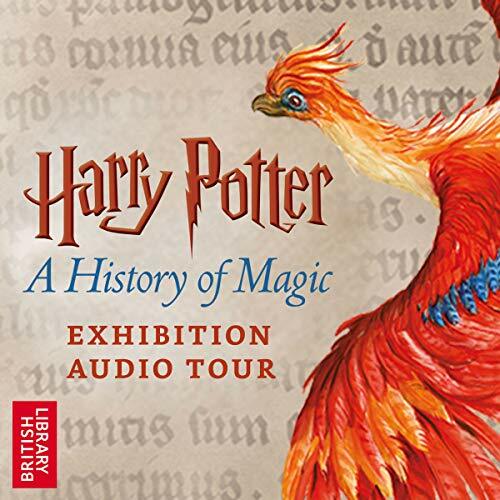 Discover the magic with the accompanying audio tour to the exhibition and be sure to download it before you visit. Natalie Dormer will guide you through the history and significance of a selection of our favorite magical objects along with special contributions from Margi Hofer, Dr. Agnes Hsu-Tang, Jim Kay, and Roberta Olson. For a deeper dive into the history of magic from around the world and in J.K. Rowling’s stories, discover the new audiobook, Harry Potter: A History of Magic. Exhibition dates: Oct 5, 2018 - Jan 27, 2019.